I was pondering a little Christian theological conundrum this morning. Every seminary student is taught sometime early in his Masters program how to interpret Scripture according to the rules of hermeneutics. Continuing, hermeneutic rules have to do with how to interpret the text. While the list of rules can vary depending on the teacher/text and denominational/religious division, almost always, on every list, near the top is a rule that says obscure or unclear passages must be interpreted by or through the lens of clear passages. Further, all Scripture leads to harmony and therefore, a clear passage or two that contradicts an obscure or unclear interpretation should immediately override the misunderstood unclear passage. So, I was pondering this hermeneutic rule, or shall we say, law and the multiple Christian doctrines that violate the law in order to thus violate Scripture. Interesting. 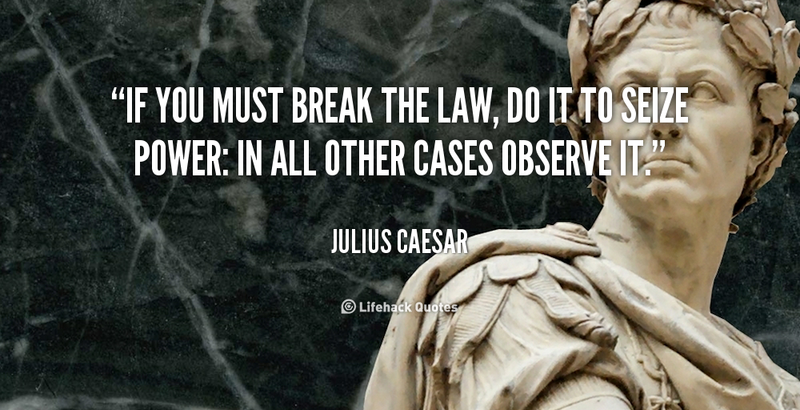 Make the (hermeneutic) law, break the law so you can then break THE Law. NINE times in the Torah we are given sparklingly clear instruction concerning the seventh-day Sabbath. Further, we are several times told that the Sabbath will be observed in the Millennium as well as in the new heaven and new earth. NO WHERE are we EVER told that the day changed or that it is prophesied that it would change. I even offered $10K to prove the point. 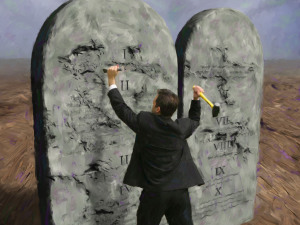 The very simple bottom line is this: Theologians and pastors BREAK their own hermeneutic ‘law’ so that they can then justify breaking THE Law. This entry was posted in A Thought... and tagged apologetics, break the law, hermeneutics, Julius Caesar, Sabbath keeping, seminary. Bookmark the permalink. As faithful followers of our Messiah Jesus/Y’shua, the single most important commitment we can make is to honesty and Truth: Jesus said, “I AM the Way, the TRUTH and the Life.” This article by Pete Rambo talks about the kind of dishonesty that we use to convince ourselves that what we want to do is the ‘right’ thing to do, even when scripture flatly tells us otherwise….